A "comfort"able little inn down the Jersey Shore. Located in Middletown, NJ 3 miles from downtown Red Bank and 10 miles from the beaches of Sandy Hook. You'll be welcomed by our friendly staff upon arrival and we'll see you off with a hot breakfast in the morning. Veterans are being honored today for their personal sacrifice to our great country. Your ability to enjoy your various freedoms is because of the men and women willing to put it all on the line just for you. So, today, businesses across our great country thank all our service people with a variety of discounts and freebies. Our local area includes many of these special “thank you” deals. Chili’s, Applebee’s, Olive Garden are all offering free meals from a selected menu to service people on Monday, November 11, 2013. Olive Garden takes it a step further and will also offer 10% off the bill for the other people dining with the Veteran. You can see the specifics of each business by clicking on them off this blog. Outback Steakhouse is offering a Free Blooming Onion and a beverage on Monday, and will offer a 10% discount from November 12 through the end of the year. Now that’s nice! For a little get up and go, Starbucks is offering to Veterans, Active Duty and Military Spouses a free tall coffee. You can also enjoy complimentary haircuts and car washes. So get out there today and enjoy the freedom of choice. Follow this link for a full listing of Veteran deals. From all of us at Comfort Inn Middletown, NJ We thank you, Veterans, from the bottom of our hearts. So a year has gone by. 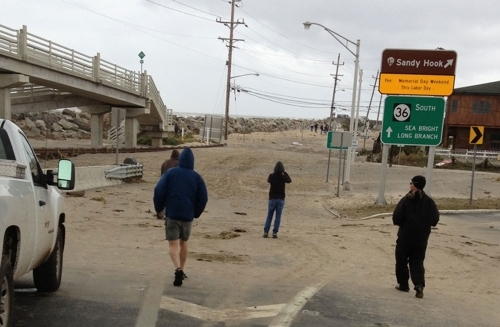 In some aspects it feels like a lifetime ago when our world at the Jersey Shore was changed forever. We have grown stronger, smarter as individuals and communities. We were brought together by a storm. We were strangers; relying on each other to make it through the next day. Each day the reality of what just happened started to sink in. So here we are, 365 days later, and with a simple drive around our area in Monmouth County you will see that our communities are still in states of disrepair. Our neighbors are still in need of help to make their lives whole again. If you follow Facebook, the Jersey Shore Hurricane News is constantly reminding people across the Facebook world that the Jersey Shore still needs help. We still need volunteers, goods and services, as well as, financial aid. The people from New Jersey are special. We are resilient, we are strong. Our determination, our visions for a better tomorrow are burning bright in our souls. Come and visit us and see how far we have come and how you can help make us better. Tips for traveling with your pets! When traveling often times it can be hard to leave your beloved pet behind. 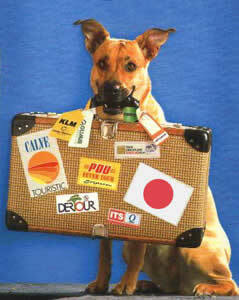 But often times the thought of taking a pet with you on a trip can become very overwhelming. In order to make it less overwhelming it is important to be prepared. Here are some quick tips to make traveling with your pet easy and enjoyable. 1: Book your hotel rooms before you get on the road. When you call us, tell us how big your pet is a how much they weigh. Some hotels have limits on pets and size so you don’t want to be surprised when you show up. Don’t forget most times there is a pet fee associated with the stay and sometimes can depend on those factors. 2: When you are at the hotel be courteous of other guests. When you arrive at the hotel make sure to ask where the dog walking areas are and take them there before visiting your room. Make sure they are a little extra tired so they don’t get restless in the room and start barking. 3: Everyone has different rules in their home, and while it may be ok for your dog to be on furniture on home make sure to bring some extra sheets. We don’t want to charge you for the accidents of a pet, so better to be prepared in advance. 4: It maybe that you don’t have cleaning product with you when you arrive but always ask the front desk right away if your dog has an accident. That way there is no build up of smell in the room. Often times a dog especially may just be marking their new territory so it is not their fault but again it’s easier to take care of it right away. 5: Make sure you bring anything your pet might need such as potty bags or scratching posts. Don’t forget to clean up after your pet when you walk outside so as to be courteous to other pet owners. 6: As a hotel we would rather you use a towel to clean off your pet after a trip outside then just letting them shake and dry themselves off after a rainy day outside. It’s easier to wash a towel then clean a whole room and again we wouldn’t want to charge you for your pets accidents. 7: If you need to leave your room make sure to secure your pet and use the do not disturb sign provided. It is also a good idea to provide a cell phone number to the front desk in case of emergencies while you are gone. It is important that you do not leave your dog alone all day in your room. We understand you may need to run out but just like you wouldn’t leave them home alone all day please don’t at a hotel either. 8: Most hotels will not clean your room if a pet is alone in the room. And if you are staying for a prolonged time make sure to arrange a cleaning time of your room while you take the dog out. 9: If you are traveling with an out of the ordinary pet make sure to give the staff an extra heads-up. Surprises may make it harder for the staff to deal with later and make your stay harder. 10: And last but not least have fun. Are you looking for something to do this weekend? Red Bank New Jersey has the perfect event for food and wine lovers. 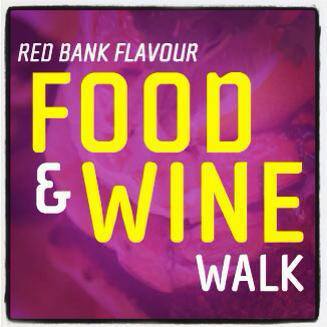 Join Red Bank for their annual food and wine walk. Happening every third Thursday of the month, it is the perfect way to spend a Saturday afternoon with friends or with a special friend as a date. Purchase a $35 wrist band for access to all the best the restaurants of Red Bank have to offer. Enjoy the afternoon strolling through the historic and scenic town as you sample all the food and wine that is offered throughout the business district in Red Bank. Don’t forget to bring your id, as this is a 21 and only offer and they will be checked before purchase is allowed. Once you have received your wrist band you will be given a map, because of course you don’t want to get lost. And of you go on your adventure. The following is a list of participating establishments. Don’t forget not everyone serves liquor, in the places without liquor you will receive two samples of food instead. Asterisks indicate that they do serve alcohol. It’s a sure way to have a great time while visiting us here at the comfort inn. Take a cab in to be safe and enjoy the afternoon. Don’t forget to tell us what was your favorite and least favorite! I bet you’re curious… Yes, this summer at the Jersey Shore is shaping up to be fantastic! Schools are letting out in the upcoming days and it is time to think Summer Thoughts, namely Firework Displays. Kaboom is still on the kabash for this year in Red Bank due to organizational and financial issues, but there are still plenty of nearby towns planning on providing spectacular visual entertainment for you and your family. The longest running event during the Independence Day holiday at the Jersey Shore is the Atlantic Highlands Fireman Fair. This unique town offers tremendous water views, great restaurants, a marina and fishing boats available to charter throughout the year. The fair will be going on from July 2-July 6 at Municipal Harbor on Simon Lake Drive. Circle your calendar for Fireworks on Friday, July 5th with a rain date of Saturday July 7th. Long Branch proudly presents Oceanfest on Thursday July 4th – all day free family fun can be found. This annual festival is a crowd pleaser “for shore” with activities happening all day long starting at 10am. What can be better than good old fashioned family fun at the Promenade in Long Branch!?! Don’t forget to stop at Strollo’s Lighthouse and cool off or celebrate with an authentic Italian ice or delicious homemade soft serve ice cream. Union Beach, one of the most devastated Monmouth County communities from Sandy’s wrath, did not have any plans to conduct their annual fireworks display. Those residents have spent the last 210 days rebuilding their town and their spirits. One resident entered a contest for a free community fireworks display and Won! They have not yet posted a date for this wonderful gift that has been bestowed upon them. Be sure to come and celebrate their victory in determination. You will never meet a more deserving bunch of people. So pack up the car and the kiddos – shoot, we’re pet friendly at the Comfort Inn Middletown, so bring the family pet too – and head on down the shore to Exit 117. There is something to do every day here and we look forward to creating Summer 2013 memories with you! The Jersey Shore is alive and kicking. Not to mention we are stronger than ever! We have been working so very hard to make your trip down the shore as exciting as you remember in years past. Our beaches are open and ready for you. The landscape may have changed slightly, but not our determination. We are still here and we want you here too! Hotels are staffed and awaiting your arrival, restaurants are bringing out their best summer recipes, the boardwalks have been replaced, the amusement rides have been repaired and the game vendors have all the stuffed animals your kids can desire. All we need to get our summer started is you! Welcome back to the Jersey Shore!!!! Attn: We are looking for housekeeping and maintance staff immedietly! Please stop in to fill out an application asap if you are interested! A 'comfort"able little inn down the Jersey Shore. Located in Middletown, NJ just 3 miles from downtown Red Bank and 10 miles from the beaches of Sandy Hook. You'll be welcomed by our friendly staff upon arrival and we'll see you off with a hot breakfast in the morning. Life is but a beach chair.